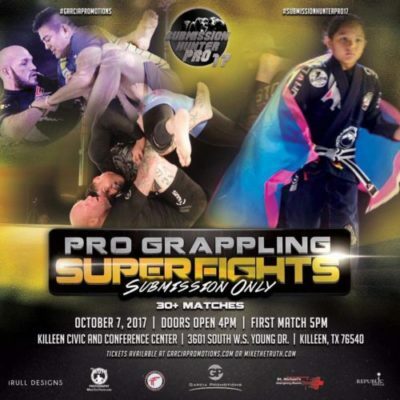 Garcia Promotions is headed to Killeen, TX for Submission Hunter Pro 17. This will be the first event held in the city and the 30+ match card will feature some of the best grapplers in the area. Included on the card, a black belt no-gi title match between Randell Kennedy and Travis Moore. Check out the rest of the card below. Get all of your Submission Hunter Pro tickets here at MikeTheTruth.com. Sorry, read that wrong. I’m not 100% sure. Typically, there is.